Boycotts have become the stuff of stupid. Before social media reared its head and gave everyone an unlimited number of opportunities to make fools of themselves publicly, boycotts were generally sane ventures. People got mad at some company and pledged not to further support them. Of course, not everyone participated, but we all understood the intention. Not just content with denying a company future profits, people have started destroying things they’ve already bought and posting it on social media. Beyond a little attention for themselves and perhaps some negative attention for the company (which is almost always fleeting and forgotten within days) this doesn’t seem to have been rationally thought out. And it’s not an exclusively liberal or conservative practice. People on both sides now seem to like literally throwing away perfectly-good products in some misguided attempt to stick it to whomever they’re angry with at the time. Most recently, it was conservatives who flushed their money down the toilet (I can’t wait for a toilet manufacturer to get people upset) by protesting YETI, a cooler manufacturer. YETI got into hot water when it stated it would be eliminating some “outdated discounting programs” for NRA members and other gun organizations. But miserable boycotts love company. 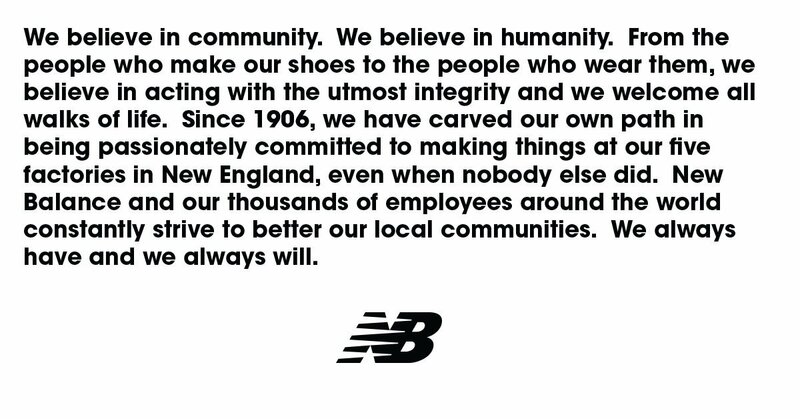 In November of 2016, anti-Trump individuals got upset at shoe maker New Balance for comments its vice president made about Trump’s election. The Wall Street Journal reported the comment. “New Balance: The Obama admin turned a deaf ear to us & frankly w/ Pres-Elect Trump we feel things are going to move in the right direction,” wrote Sara Germano, a reporter for the Wall Street Journal. We’ve now become a Simpsons episode. out from Austin Texas! Just wanted to mention keep up the excellent job!